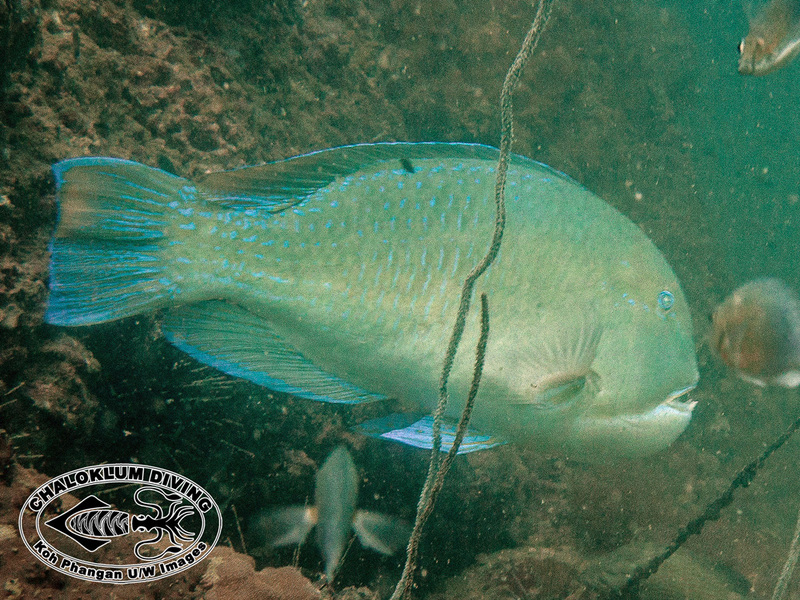 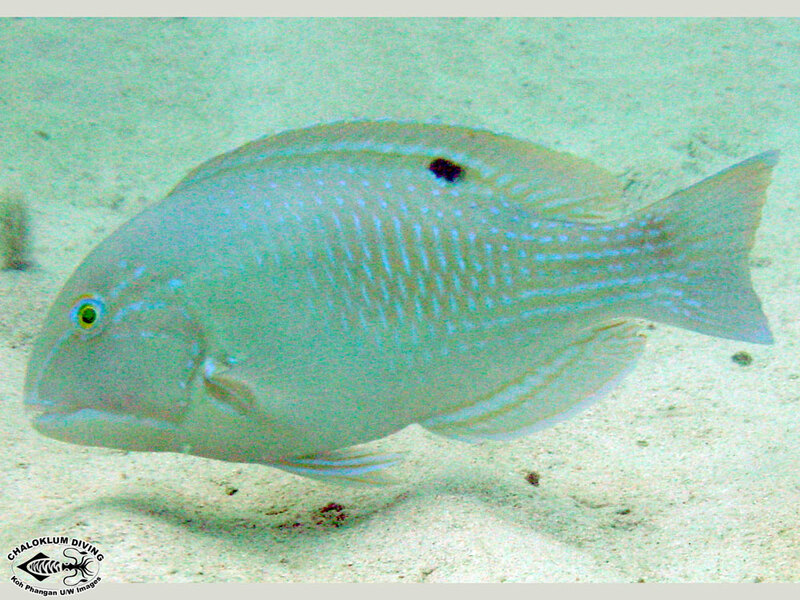 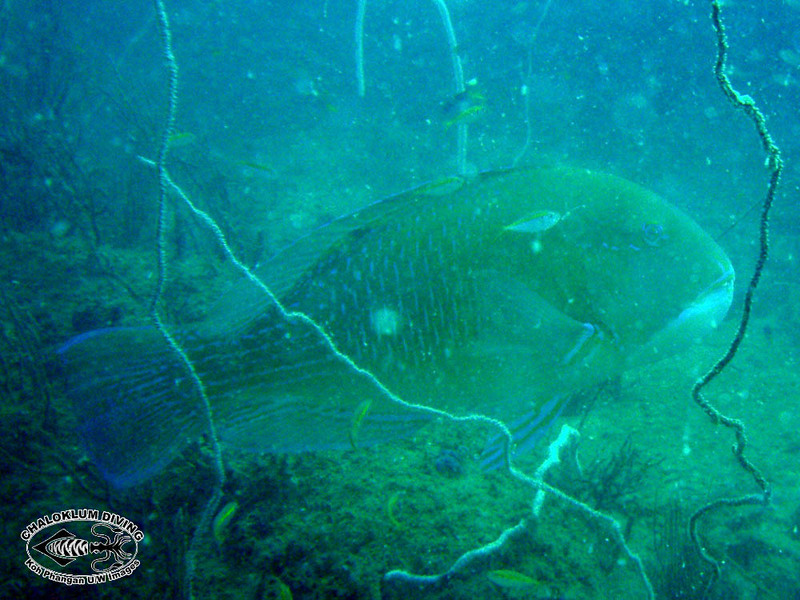 The Blackspot Tuskfish grows to a large size, is quite busy and not so bothered by SCUBA divers. 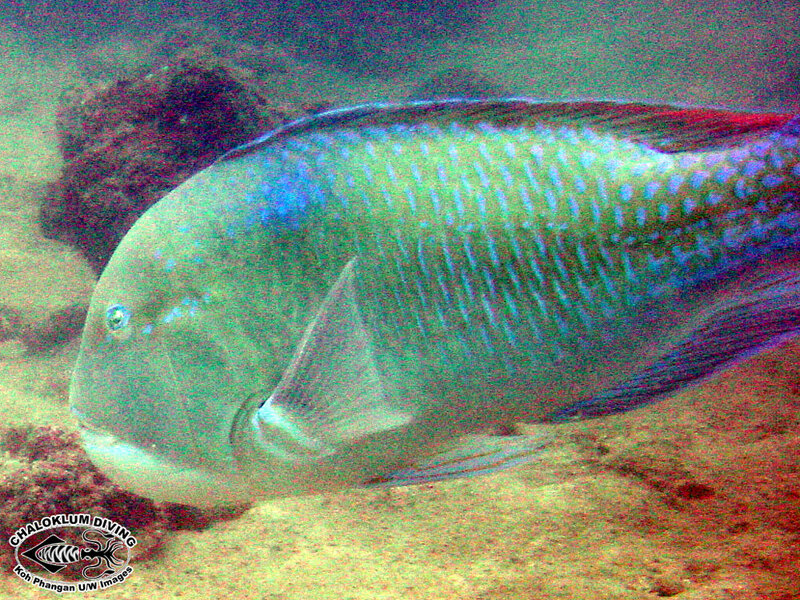 Principally spotted at Koh Phangan’s local dive sites. 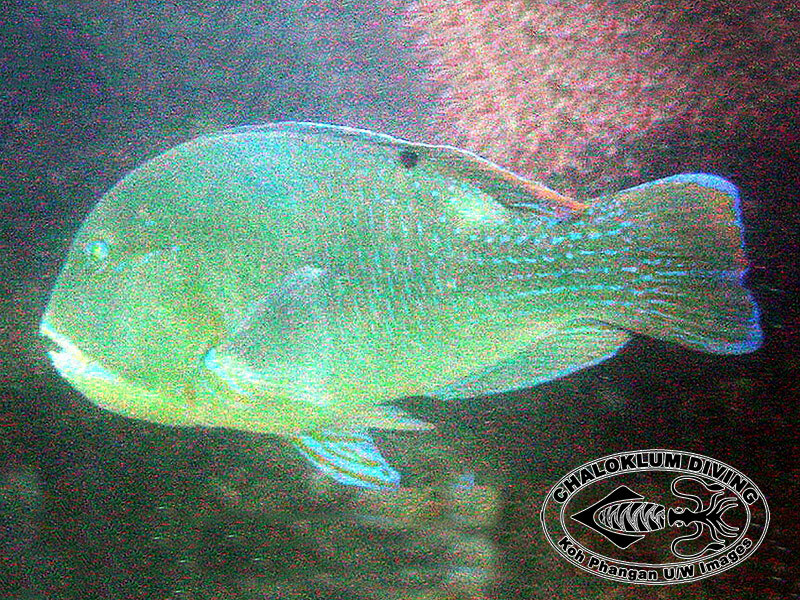 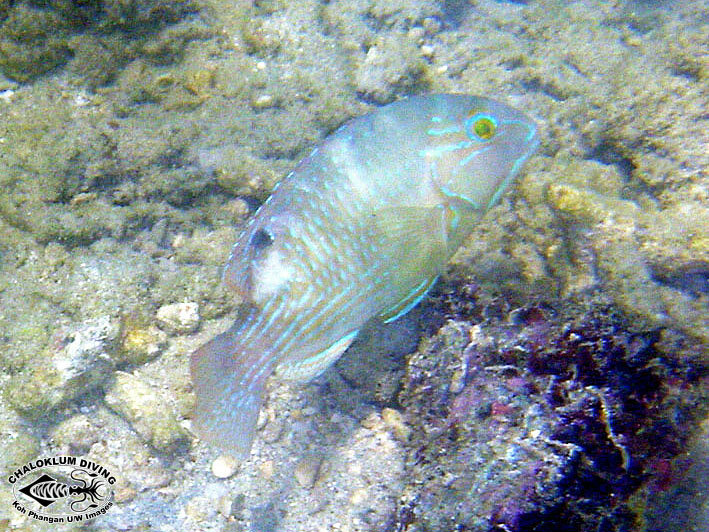 Tuskfish are technically members of the Wrasse family but don’t show many apparent similarities.